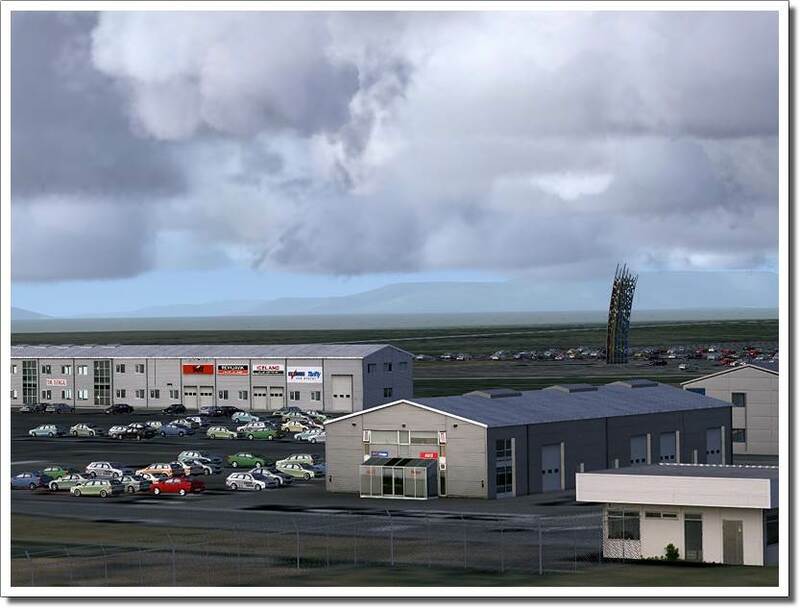 Fly Iceland's ONLY International airport with this scenery expansion for FSX and FS2004 of Keflavik airport. Available via Instant Download, no waiting for mail to arrive. Compatible with the Iceland X expansion package. Iceland is truly one of the most astonishing and unique places of this planet. Fire, ice and gushers engrave the scenery and the force of the elements is present all over the island. The biggest volcanic island of the world attracts many tourists throughout the year. 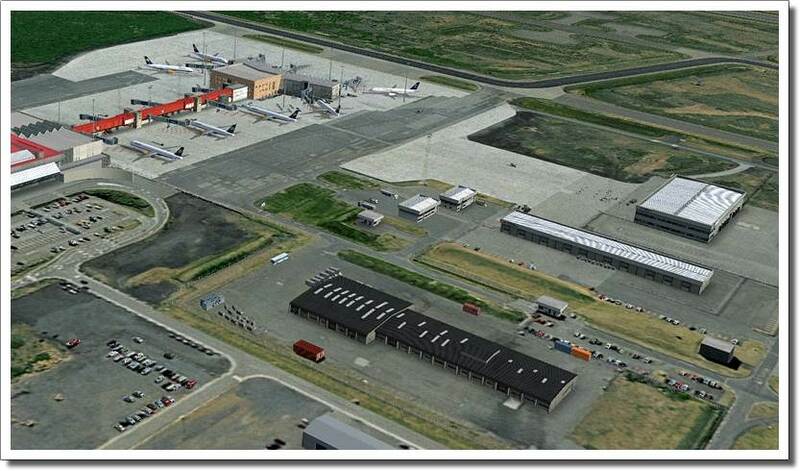 The only international airport of Iceland is Keflavik Airport, 50 km to the southwest of the capital Reykjavik. 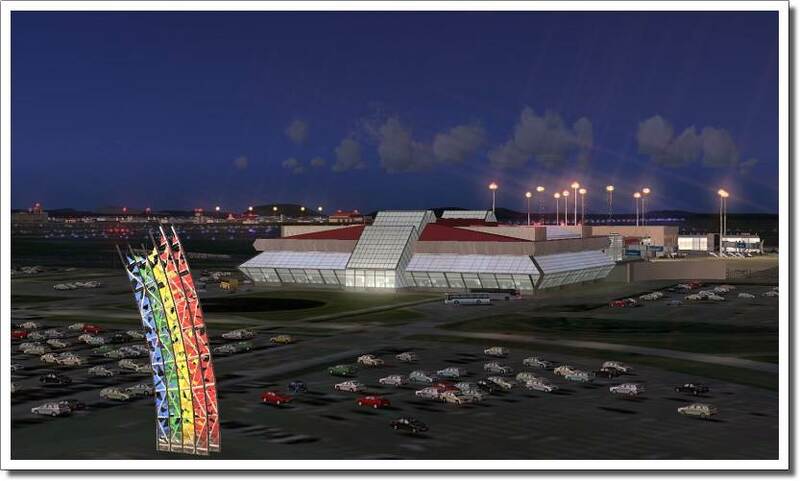 This airport is of great importance as it also functions as a military airfield. The modern architecture of the civil terminal is a true eye-catcher. 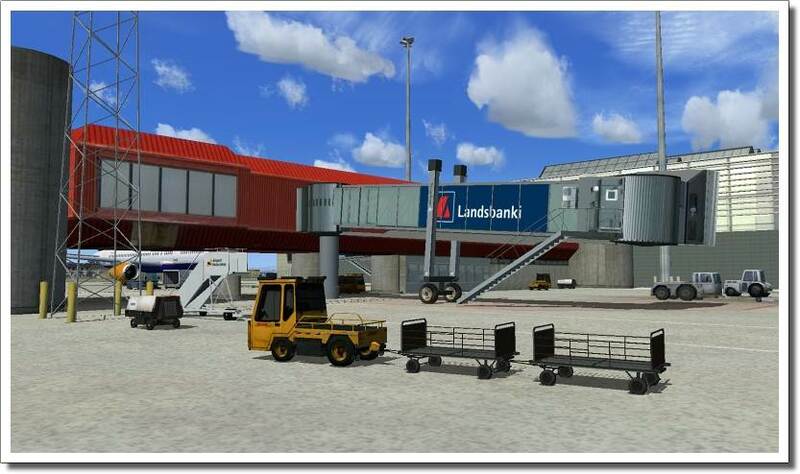 Our airport model has been created true to the original and is an ideal add-on for our scenery Iceland X. Photo real textures on buildings, vehicles etc. 512 MB min. (Direct X 9) Geforce 6000 or Radeon X 1000 min.